Would you want to be alerted if someone broke into your home while you were away on vacation? Maybe you want to know if your housekeeper if really working as long as she says she is. Or perhaps, you just want to see your kids walk in the door after school. Home security systems used to be expensive and cumbersome to set up, and came with a high monthly service fee. Not so anymore. 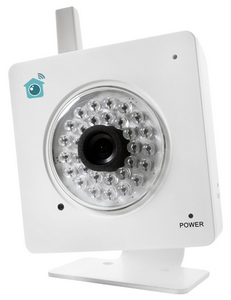 Now you can get inexpensive wireless security cameras, so you don’t have to hack into your walls, and you can receive security alerts and see live or recorded video using your smartphone or tablet. (If you're worried about Wi-Fi coverage in your home, you can always use a Wi-Fi range extender.) We’ve even found a couple of innovative systems that add sensors to the mix so you can get notified if a pipe breaks or carbon monoxide levels are too high. HomeMonitor cameras are Wi-Fi enabled and come with a free service that lets you view and record seven days of video on the cloud, as well as access your stored video on a Web browser or with an app on your Apple or Android smartphone or tablet. There’s no monthly subscription fee, but if a week’s worth of video isn’t enough you can ante up $40 a year for a month’s worth of video storage, per camera. 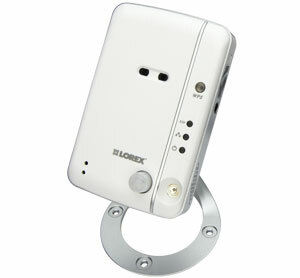 You can watch live video or recorded clips captured when the device senses movement. What makes the LIVE Ping so compelling is its ease of use. For one thing, you don’t need to connect it to a computer. Getting it going takes less than two minutes—you simply connect it to the Internet via an Ethernet cable or your Wi-Fi network, download a Lorex app to your mobile device, and then use your phone or tablet to scan a QR code on the back of the camera. Voilà—the camera is live and sending video to your mobile device. The app includes plenty of customization options, such as the ability to only record when the camera detects movement as well as record several locations at once. You can either record to a microSD card in the camera or directly to your smartphone, tablet, Windows PC or Mac. It comes with a dual lens capable of both day and night viewing and features an infared LED to illuminate a space up to 30 feet away. Not only does the camera include a microphone, so you can hear what's going on in front of the camera, if you attach an accessory speaker to the camera you can talk back. 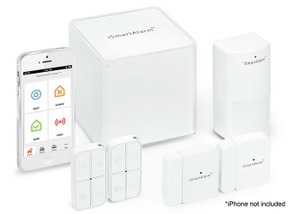 iSmartAlarm is a wireless security system you control with your iPhone, but unlike most other security systems, there are no monthly fees or installation costs. It comes with a CubeOne box that uses the Wi-Fi network in your house to communicate with door and window sensors and motion detectors. Not only can you arm and disarm the system using your iPhone when you’re away, if something triggers the system the camera will take five successive photos of the area, zap them to your phone so you can see if it’s a family member or bad guy who tripped the alarm. iSmartAlarm then gives you the option to either call 911 or ignore the alarm. An Android version is in development, the company says. iSmartAlarm is currently selling on the crowdfunding site Indiegogo. If you pre-order a system there now, you’ll get a discount of the full price of the product, which ships this spring. Price: $79 to $249 now on Indiegogo. You can get the hardware for this system for free (or inexpensively) but the catch is you have to commit to a monitoring contract. Even so, LifeShield says it delivers much more functionality for less monthly expense than traditional systems, like ADT. For instance, LifeShield offers fire detection, safety scoring of your home’s defenses and crime reports according to where you live. And while iSmartAlarm boasts no monthly fees, Lifeshield has additional services like monitoring your house for carbon monoxide, flooding and freezing. And, Lifeshield is unique in being available to both homeowners and renters; typically security companies don't service the latter. Like the other wireless solutions we’ve profiled, you can control this system remotely via a mobile device (the tablet app is pictured here). 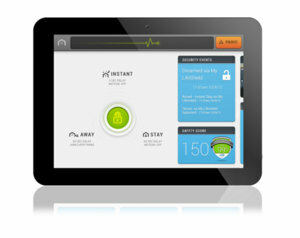 Price: Free to $199 for hardware; monthly monitoring runs from $29.99 to $44.98. Get a quote online. In a time where you have your smartphone with you constantly, keeping an eye on your home is easier than ever while away. We hope one of these choices gives you peace of mind.